Can we talk about The Killing? 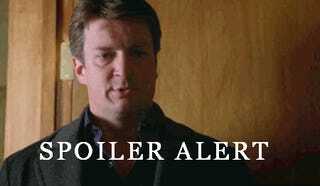 Most definitely spoilers below the break! Guys! That ending... I HATED IT! I mean, yeah, cutsey-cutesy, they've always understood each other, blah blah blah. But a happy, romantical ending? It seems so wrong for that show. This final season was ok but it seemed like it didn't hold up to the previous 3. What did y'all think? Did you like this season? Did that ending make sense for you?